We took a well matched pair of Fancy Yellowish Brown Pear Shape Diamonds to be the center of attention for these lovely earrings. 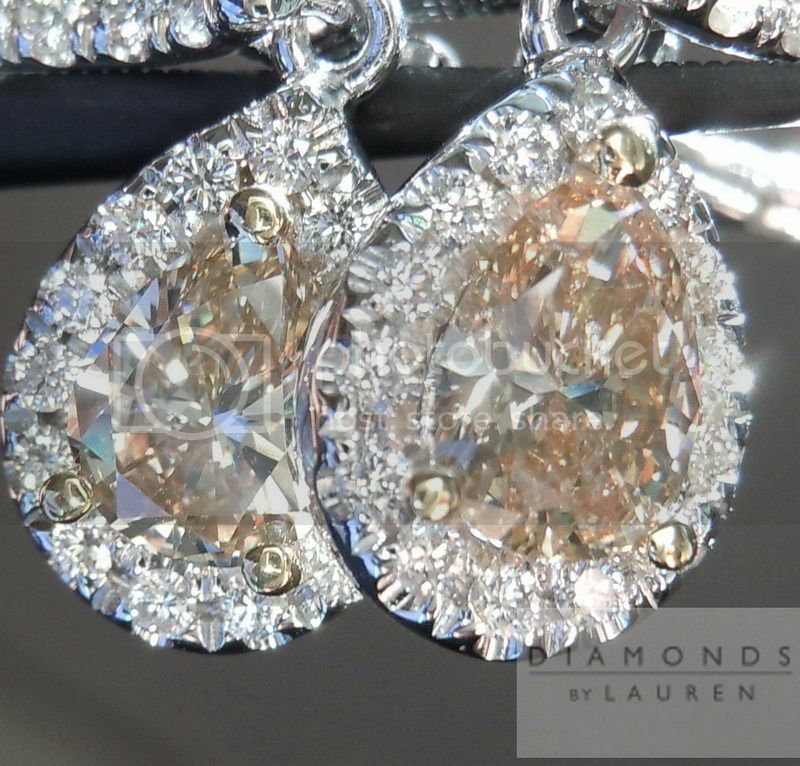 The pear shape diamonds are beautifully cut and give off a lot of sparkle. 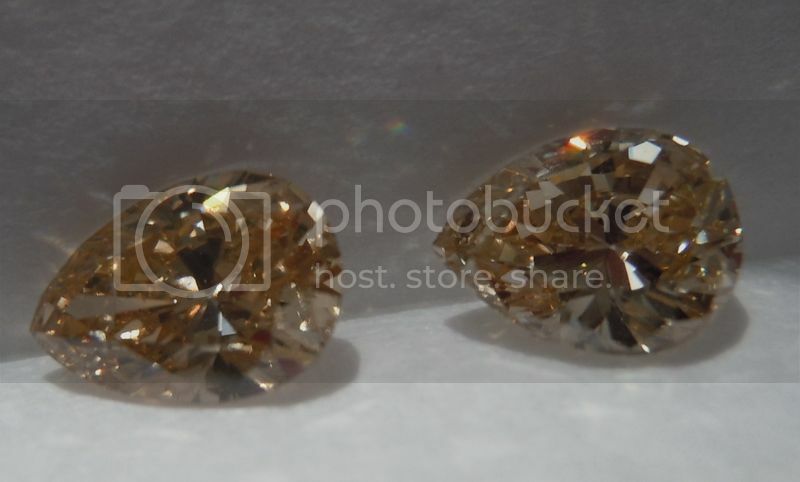 The diamonds are a lovely shade of medium brown - not too dark yet not white by any means. 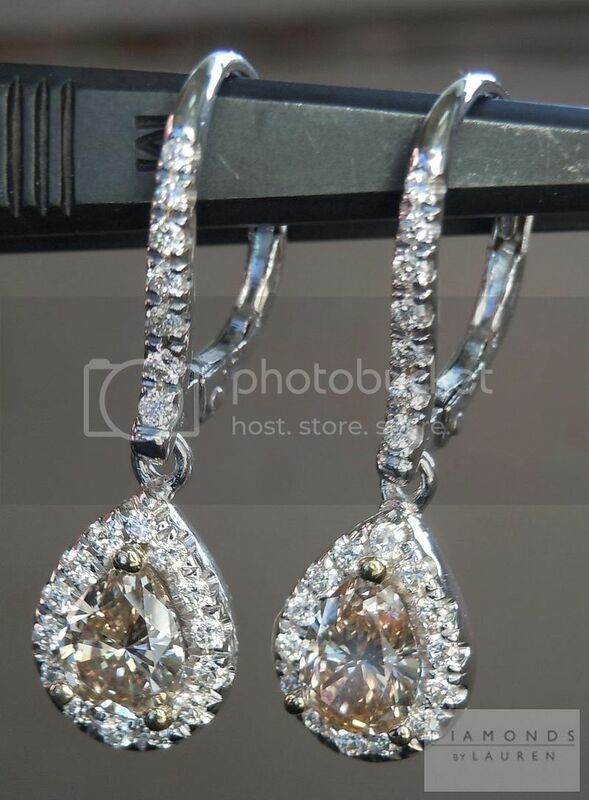 The earrings were created with colorless diamond studded lever backs and have well cut colorless diamonds for the halo. The combined diamond weight on these earrings is 1.65cts. You can see the quality of the workmanship in these close up photos. If you like these photos, you will love the earrings in person - we guarantee it!